Forest Garden Vertical Tongue and groove Gate 6ft (1.83m) High: the Vertical Tongue and groove Fence Gate has a sleek and contemporary design sure to enhance and modernise your garden. 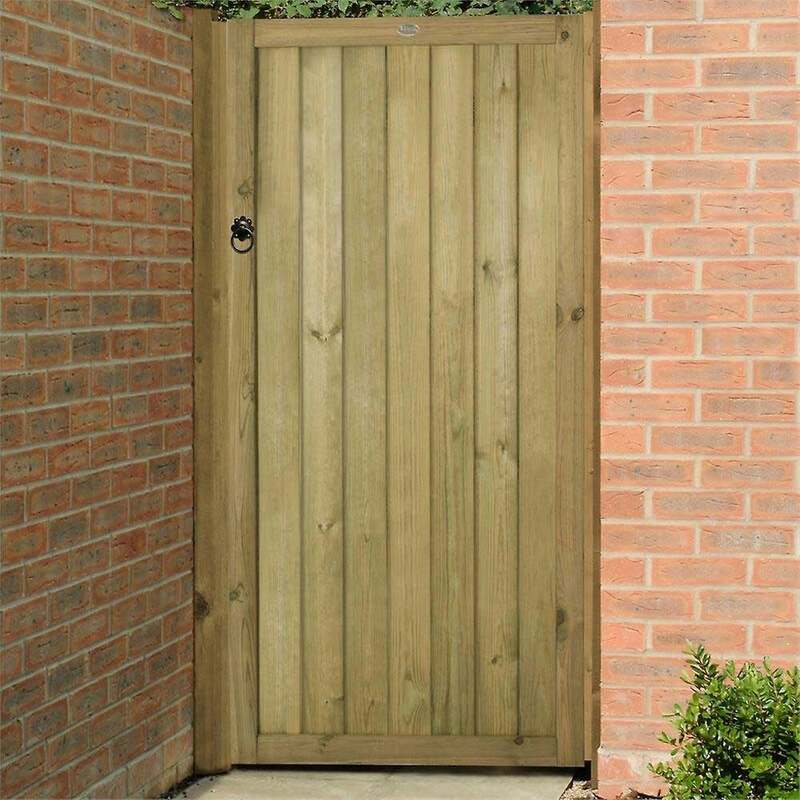 The gate features interlocking tongue and groove boards to ensure sturdiness and durability. At a generous 1.83m height and incorporating the interlocking tongue and groove construction it will ensure absolute security and privacy, as there will be no gap whatsoever between the boards. The Vertical Tongue and groove Fence Gate will offer your garden both beauty and security.